The BMW 5 Series is the embodiment of the modern business sedan. Thanks to its dynamic and simultaneously elegant appearance, it convincingly meets the expectations that are placed today on a vehicle of its class: aesthetic athleticism and driving pleasure with state-of-the-art technology. Finding a new BMW 5 Series is easy when you choose our Pfaff BMW dealership in Mississauga. In this article by Pfaff BMW, we will be talking about some of the features you can expect your BMW 5 Series to have. Read on for more information. Begin your search for a BMW vehicle here. Sporty and stylish for every occasion: the BMW 5 Series Sedan is always ahead of the competition thanks to its athletic appearance. Yet the success is not purely coincidental. After all, success is not simply in the genes, but an expression of precise attention to detail. Even when standing still, the BMW 5 Series creates a powerful impression. In the seventh generation of the sportiest business sedan, kidney grilles and headlights are directly linked for the first time ever. The low roof line sloping to the rear lends the muscular body an elegant coupé-like silhouette. 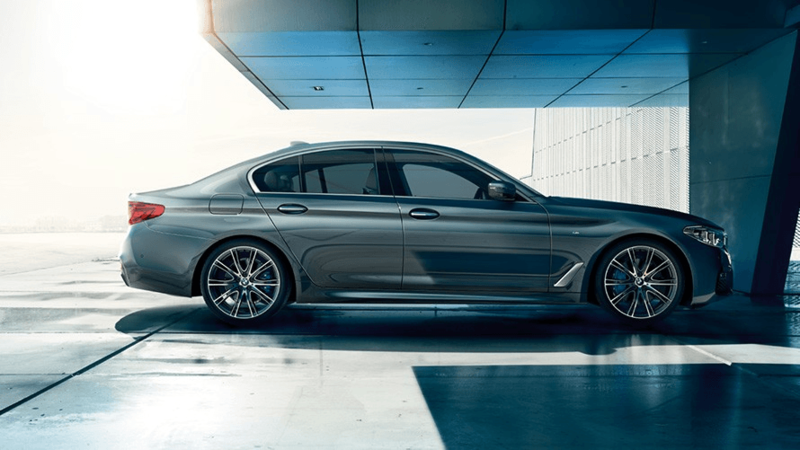 And the broad rear emphasizes the high performance capacity of the BMW 5 Series. 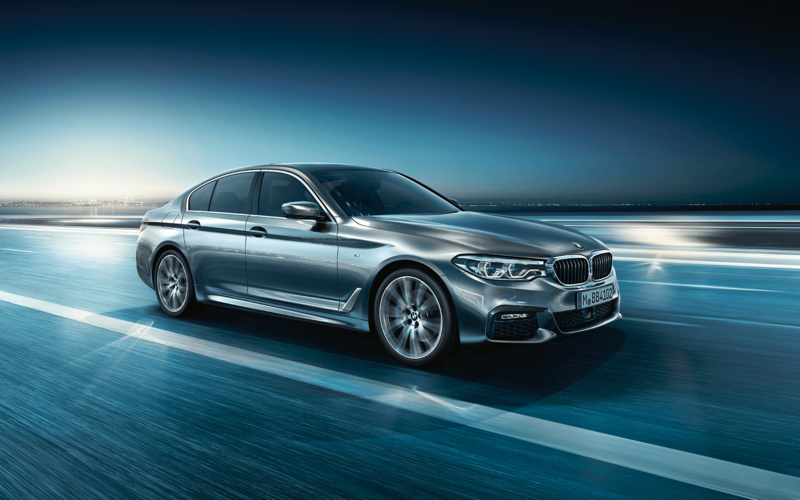 Where dynamics are concerned, the BMW 5 Series shifts the boundaries. Powerful engines impressively transmit its sporty exterior to the road. Yet apart from power, the BMW 5 Series is not only able to offer power but also brains. This is because the progressive technologies of tomorrow which enable it to exploit its dynamics to the full make it a true hero. The Driving Experience Control offers the driver the choice between the standard COMFORT mode, ECO PRO Mode, geared towards efficiency, and SPORT mode, which enables even more dynamic driving. The new interactive function ADAPTIVE Mode continuously adjusts the Dynamic Damper Control, the steering and the Steptronic transmission to suit the current driving situation. Triumphing in every situation calls for one thing above all: first-class equipment. The countless digital services and driver assistance systems of the BMW 5 Series guarantee seamless connectivity with the outside world while their intuitive operation ensures maximum comfort and safety with maximum productivity. You will find your best helper in Driving Assistant Plus. Without further ado, you can entrust it with important but monotonous tasks. It enables automated driving in situations such as traffic jams and slow-moving traffic or on long journeys. Even when changing lanes, you are in good hands. The equipment includes a built-in WiFi hotspot using the LTE standard, which allows for a paid internet connection. The vehicle is connected via the built-in SIM card with a fee-based hotspot plan from a service provider. From 0 to 100 in 4.0 seconds: with its 455 hp, the BMW M550i xDrive certainly put its rivals to shame. Thanks to the intelligent and rear-biased all-wheel drive system xDrive, every sprint leaves the competition simply staring at the rear lights. Yet in fact it looks uncompromisingly good from every angle. 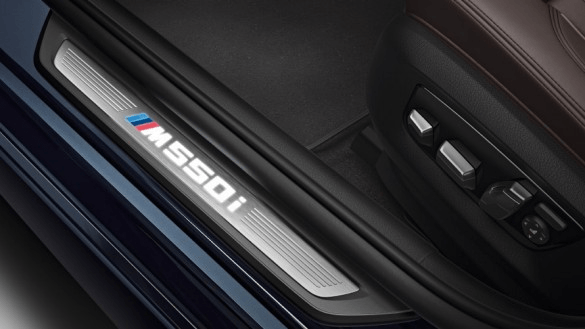 The Adaptive M suspension lowered by 10 millimetres and specially tuned to the BMW M550i xDrive, the steering optimized, the M sport brake adjusted to maximum deceleration. And if you’re still searching for thrills, there is the optional Adaptive M suspension Professional for even more driving dynamics. When it comes to driving adventure, the BMW M550i xDrive sets the rules. After all, it is the leading player that dictates the game. Come into Pfaff BMW in Mississauga today or check us out online for more information about the BMW 5 Series. You can find this premium quality BMW vehicle in new or pre-owned on our lot! For more information about our vehicles, please feel free to continue browsing through our website. Click here to find our contact information, schedule a test drive, and to fill out our contact form.